While globally the Kicks has been on sale for a while now, the India-spec model will be a lot different from the international model for it's based on the B0 platform. The all-new 2018 Nissan Kicks compact SUV has finally made its India debut and what you see here is the India-spec model. While globally the Kicks has been on sale for a while now, the India-spec model will be a lot different from the international model for it's based on the B0 platform as the Terrano, compared to the former that is based on Nissan's V platform. 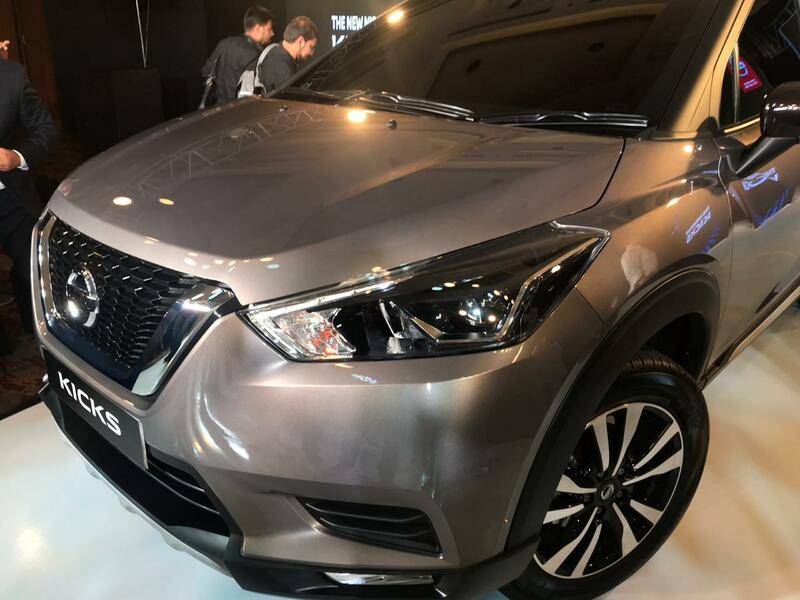 The India-spec Nissan Kicks is slated to be launched in India in January 2019, and it will mainly compete in India with the likes of the Hyundai Creta and the Renault Captur. 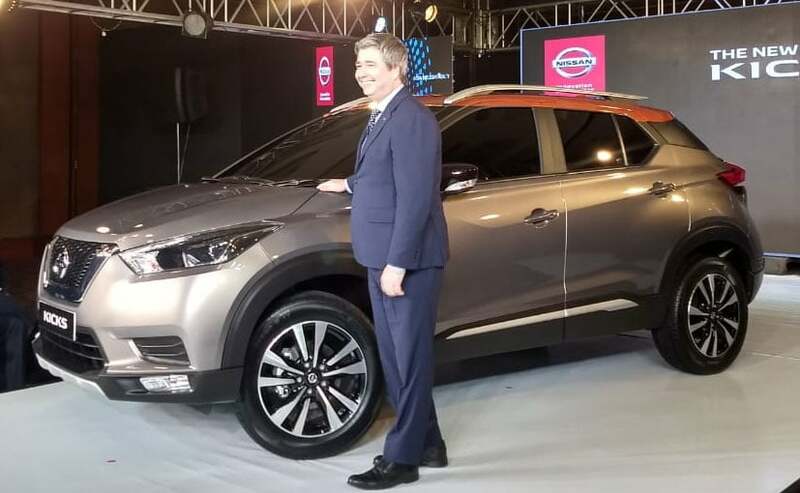 The India-spec Nissan Kicks is being developed at the new Nissan Design Centre and will be manufactured at Renault and Nissan's jointly owned plant, both located in Chennai. This particular model is also bigger than its global counterpart in terms of dimensions, measuring 4384 mm in length, 1813 mm in width, and 1656 mm in height. The SUV will come with a wheelbase of 2673 mm and a ground clearance in excess of 200 mm. 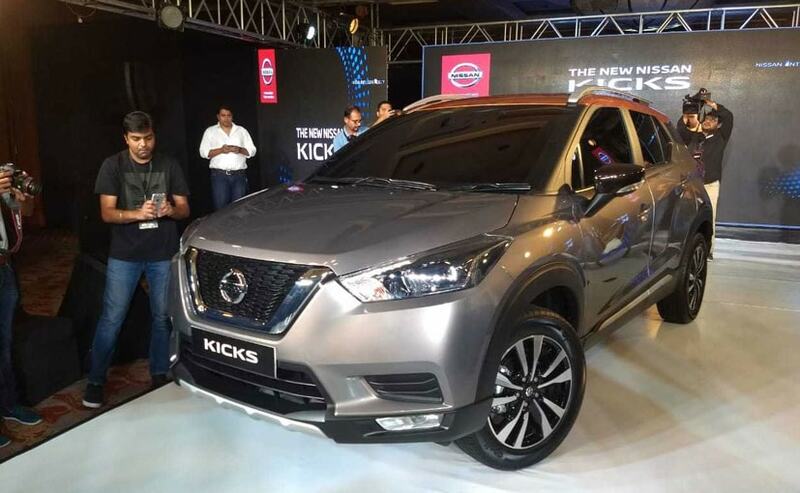 Up front, the Kicks SUV features, Nissan's signature V-motion grille, flanked by large sweptback headlamps with sharp boomerang-shaped LED daytime running lamps. Below we have a wide central airdam and sliver chin spoiler and extended claddings on either side that house the sleek LED foglamps. 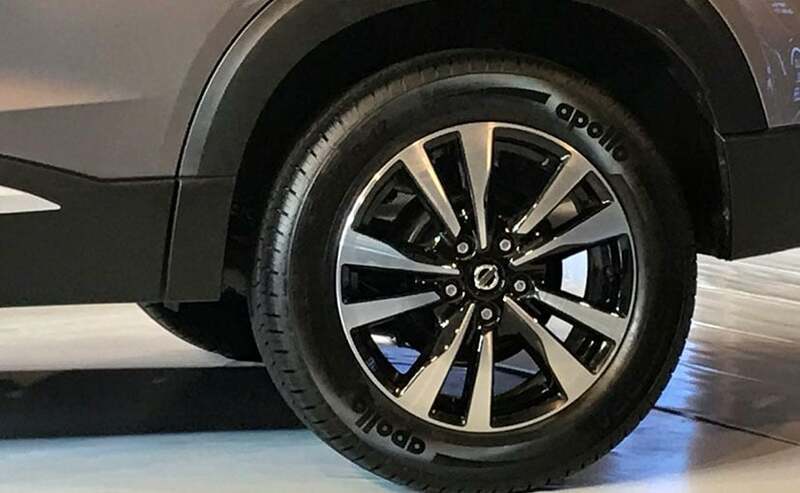 The Kicks also come with a set of twin-five-spoke alloy wheels, along with a floating roof in contrast hue. The rear, on the other hand, comes with a set of sharp LED taillamps, sculpted tailgate, and a beefy rear bumper with diffuser. 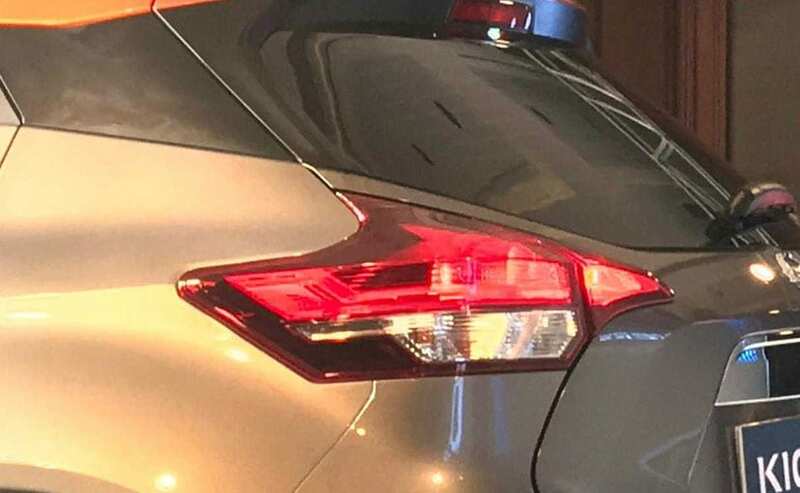 Today, we only got to see the exterior of the new Nissan Kicks, however, the company has previously confirmed that the Indian-spec model will get a roomier cabin and a bunch of technical features for connectivity that will be specific to the Indian market. The interior design and styling is also expected to be slightly different compared to the global spec models. Under the hood, the India spec Nissan Kicks will feature both petrol and diesel engines for the Indian market. In fact, the engines have been borrowed from Nissan's existing compact SUV Terrano. The petrol version gets the 1.6-litre, four-cylinder engine offering 103 bhp, while the diesel option gets the tried and tested 1.5-litre oil burner that comes in two states of tune - 84 bhp and 108 bhp. The Kicks, however, might only come with the more powerful version of the diesel engine. 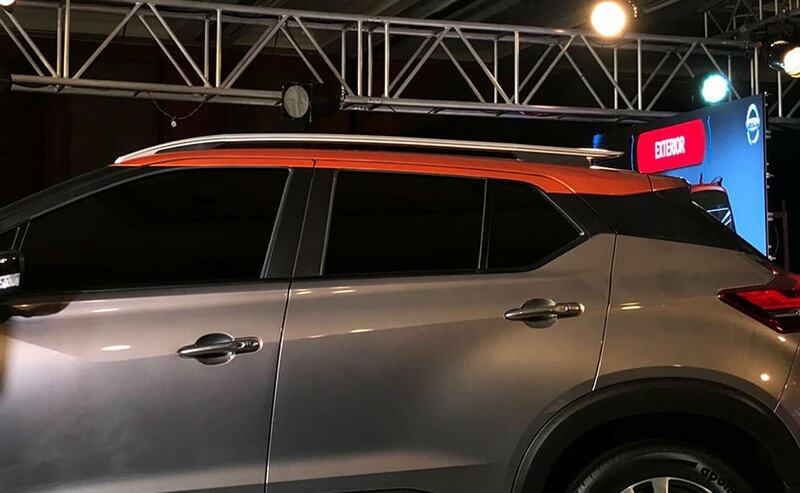 Transmission options for the Terrano include a 5-speed manual, 6-speed manual and an AMT unit, although, it's still not confirmed whether the Kicks will get an automatic version or not.